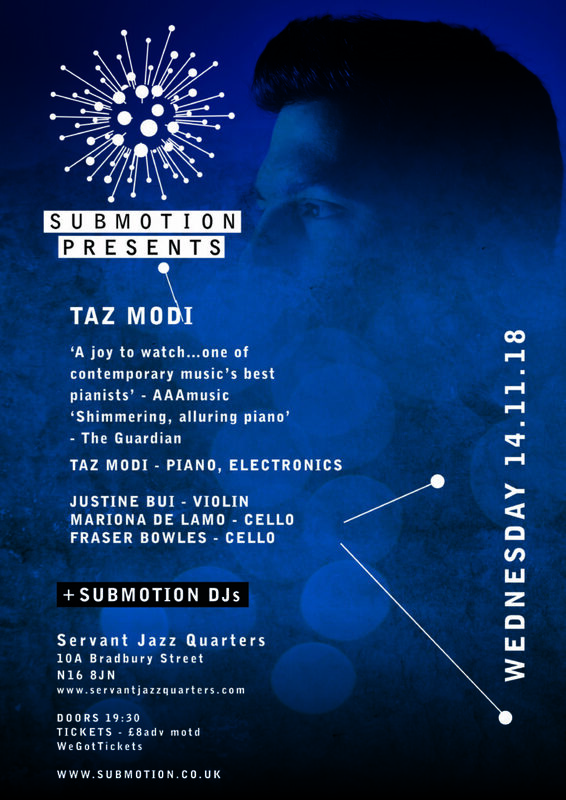 Submotion Orchestra are proud to present a solo show from their pianist Taz Modi, who will be previewing music from his forthcoming solo album ‘Reclaimed Goods’. Taz’s solo project combines atmospheric piano, lush strings, and subtle, ambient electronica to create unique and evocative soundscapes. With influences ranging from the modern piano of Nils Frahm and Hauschka to the ambient electronica of Oneohtrix Point Never and Portico Quartet, these cinematic and emotional compositions come alive with the help of a string trio and live piano looping.